When you have children (or a partner with Meningitis) you ask a lot from your washing machine, especially when they're tiny or ill. I've had to remove more bodily fluids from bedding than I'd ever like to remember, and it usually means a trip to a launderette or an hour spent leaning over the bath trying to stay at least a little bit dry while you attempt to clean something taller than you are. Then you have to work out how to get it downstairs without dripping 18 pints of water on the way, and if your bathroom doesn't have a large window overlooking the lawn that's not an easy task. 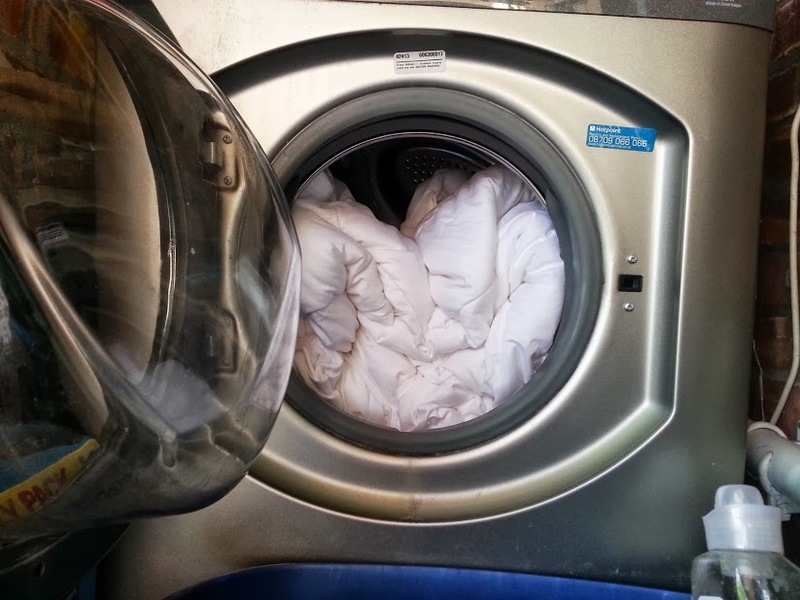 What we really need is a duvet you can put in an ordinary washing machine at home and then tumble dry, with matching pillows which are also designed to be washed and rewashed - too good to be true? 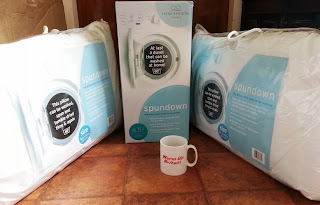 When the bedding arrived I was really impressed, I've put a coffee mug in the photo so that you can see how little the duvet box was. 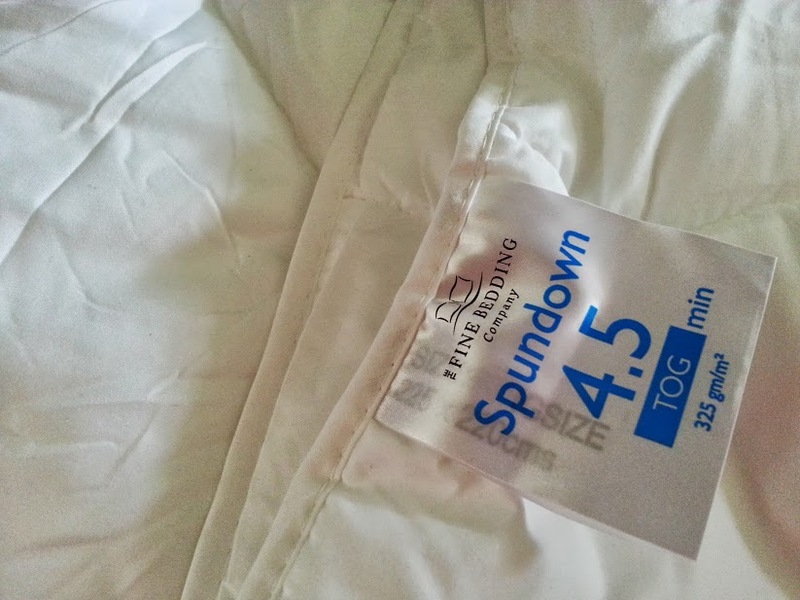 We put it on our bed and I was really pleased just how thin and lightweight the duvet was. Our old duvet was the same 4.5 tog, but about 3 times the thickness and weight, and definitely not as soft! The peachskin cover on the duvet is lovely, it's almost a shame to cover it, but you can still notice the difference through the cover (or maybe that's just my imagination). 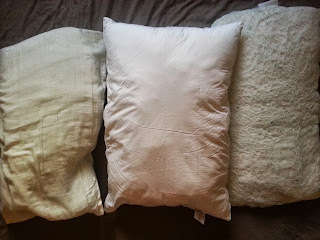 The pillows are lovely and plump with a nice thick cotton cover. I have a 7kg washing machine, which is a bit bigger than average, but not massive, and it fitted in very easily indeed. Good as my word I washed it at 60 degrees and then, on the hottest day of the year, I tumble dried it. There is absolutely no discernible difference. It looks and feels exactly the same as it did before I washed it. The pillows worried me more, I've washed pillows plenty of times and it generally goes horribly wrong. I can't say I've ever been happy with the outcome. They generally end up metamorphosising into a whole new shape of pyramid pillow with an extra twisty bit and some special big lumps that never go away, or the cover disintegrates into fluff. Neither happened. 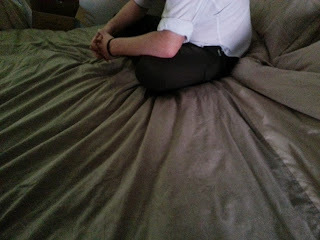 After a simple shake the pillow really was no different from the unwashed one. 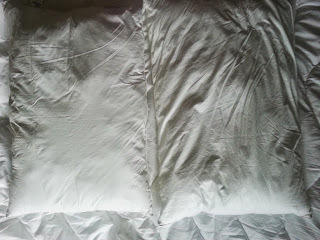 After 3 more night's use (as this post was delayed) both pillows look and feel the same. You can't tell which has been washed and which hasn't, I'm really impressed. They're as plump as each other and neither have any uncomfortable lumps or bumps. I'm really delighted with this bedding. It washes and dries every bit as well as it promises it will. 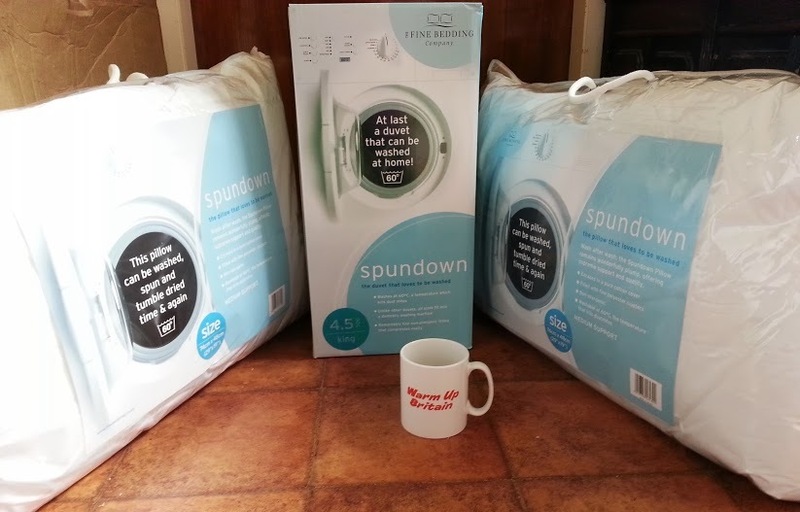 It's lovely bedding anyway and it's been brilliant for my partner now that he has to have a couple of weeks bedrest because his skin is sensitive and it's light and easy to move about or fold out of the way. I know I can wash it every few days without having to write it off or put up with something vaguely resembling a pillow, and he'll be resting and recuperating in a clean and hygienic environment that is pleasant to be in. I'd recommend it to anyone, and I really do think it's very reasonably priced at £18 for a pillow and duvets starting at £45 for a double. They're excellent quality and brilliant for anyone with allergies. I've noticed a definite difference in my hayfever - 2 weeks ago I was waking up with bunged runny nose and now I really am not. 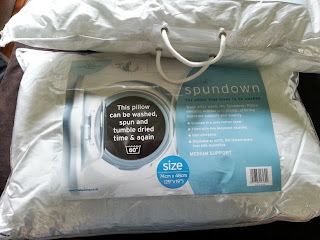 Updated 16/04/16 - the Spundown duvet is every bit as good as the day we got it. I still love the amazingly light weight - and it fits in a carrier bag to go on holiday!! I definitely recommend this product. Updated 11/06/17 - My thoughts from last year still stand. 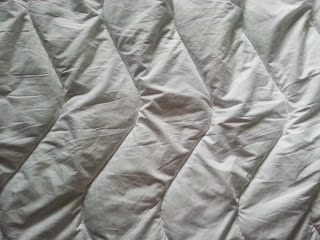 A fabulous duvet. Colette from Going On An Adventure has recently reviewed and you can find her video here. Excellent post! I love that you exactly wash it! TBH, I would not want to wash it. I will be afraid of losing shapes. The price is very reasonable and I will try it when my pillow due for change! 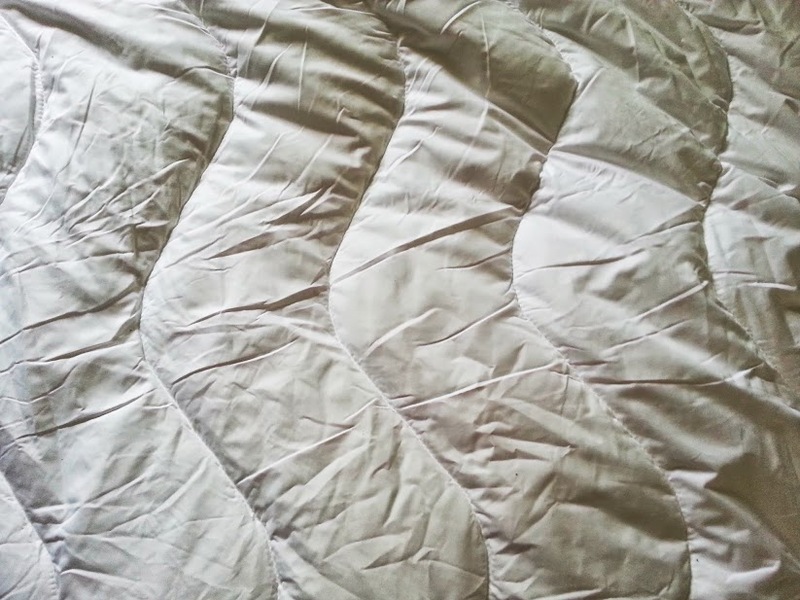 I'm really interested about this bedding I might have to get some. so many have been ruined in our house by children being sick on the bed (main culprit mr t!!! 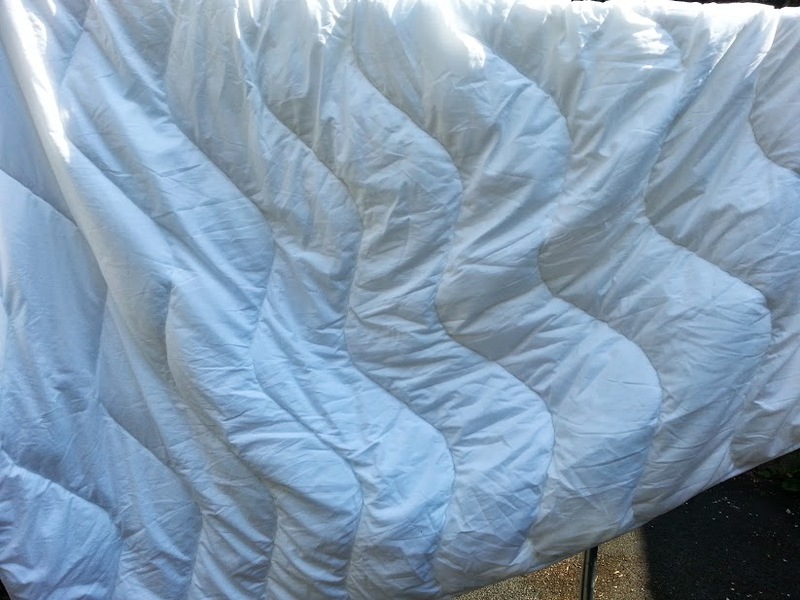 )then it goes through the covers into the duvet itself and soaks everywhere and as you say when you wash some of them they dont come back out nice. 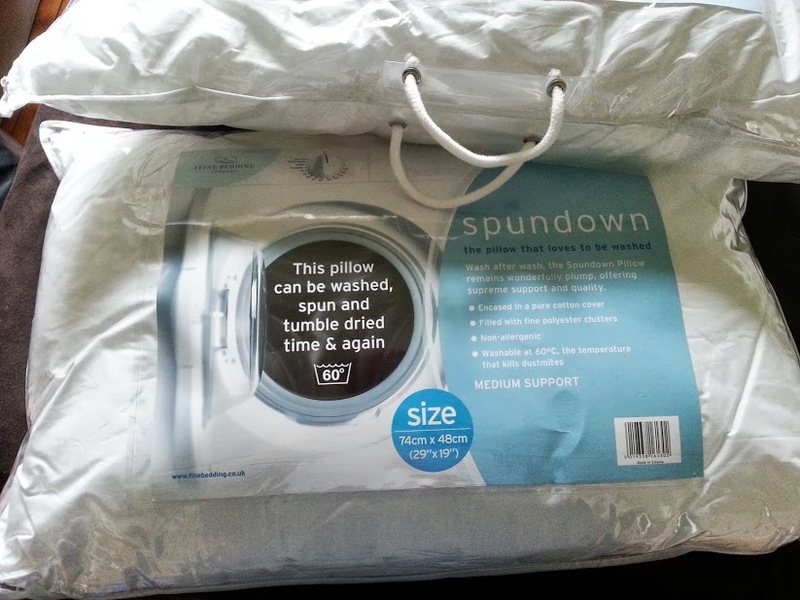 That looks great - I would really like some washable bedding but always been worried what it would be like once washed - great review! I'm the same about worrying about washing and losing shape, but it's good to know it can be done. I love washing my bedding but really do need an industrial sized washing machine to wash it in. I've done the kids' duvets before but never pillows...I just buy new ones LOL. Great review! 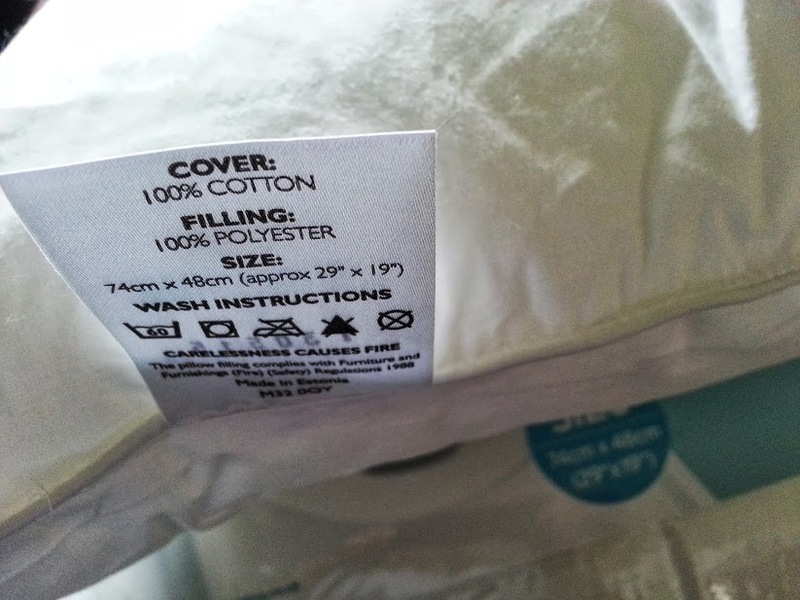 I have ruined so many pillows by washing them - but if the kids wet a bed or are sick on them you have no choice! I think I need to look at some of these if they wash well as I haven't found any that do yet! Looks really interesting, have to move Monkey to a single bed at some point and will need new pillows and duvet so will make a note! An excellent review, good to see that you tested the main claim of it too! The bedding looks really great. I was so nervous putting it in the machines but I'm thrilled to hear you're just as happy four years later!